The latest opening under the Design Hotels umbrella is The Robey in Chicago, a warehouse turned 20-room boutique property with serious style. 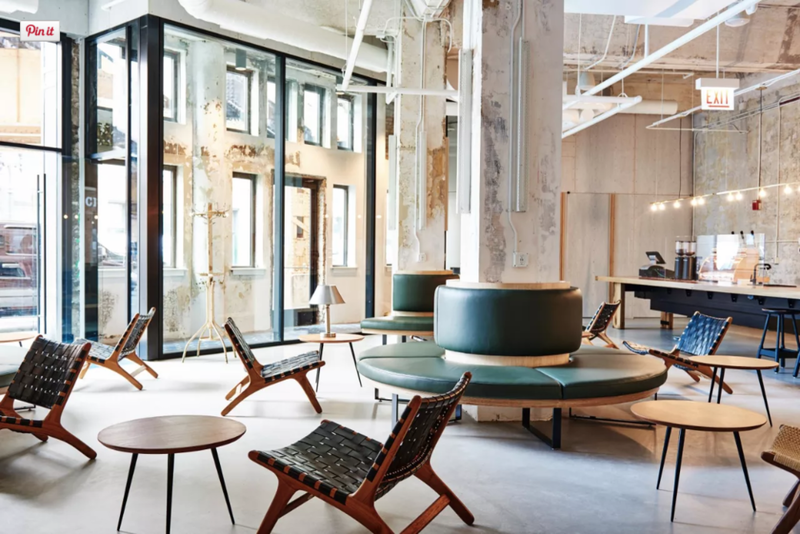 Located within the fashionable Wicker Park Neighborhood, the hotel is loaded with industrial elements and minimalist furnishings sourced and styled by Parisian design firms Ciguë and Delordinaire. Each bedroom blends crisp birchwood with rough, natural elements and dons a loft-style layout and 11-foot ceilings. In addition to their standard room with two queen-size beds, The Robey offers other layouts that are particularly conducive to families or groups, including one with bunk beds. A H!Bar bar and lounge and a Metric Coffee Co. espresso bar can be found on the first two floors and there are plenty of spots to indulge in high-quality food and drink in adjacent buildings, like modern American cuisine at Café Robey, rooftop cocktails at Up & Up, and Latino-inspired dishes at Cabana Club.